Have you struggled with the question, “Where can I find the best storage container near me in Las Vegas?” Unsure where to begin your search? 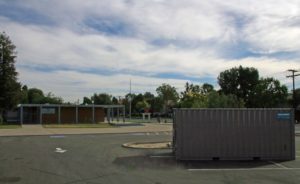 Well you’re in luck, because Haulaway Storage Containers is the best source for shipping container rentals in the Western United States. Not only do we boast the best quality containers, but we’re known for our efficient and friendly customer service as well. We frequently go above and beyond to ensure that our valued customers receive the best experience possible. Perhaps you’re worried about waiting weeks for a portable storage container to arrive at your doorstep. With us, that’s never a problem! We offer the fastest delivery in the business, and most orders arrive within one to two business days. We make your schedule our priority. And with so many custom storage containers to choose from, there’s simply no reason why you’d ever need to rely on another company. We love to make life easier for our customers with our wide variety of containers that are both durable and economical. Don’t pay for a 40-foot-long unit when you only need 10 feet of space – we give you options that accommodate your unique needs. If you’re wondering, “How secure are the shipping container rentals near me?” there’s no need to worry. Constructed from durable 14-gauge steel, all our units are constructed to withstand the environment and tampering. Your valuables will be kept safe in a Haulaway Storage Container, that’s our guarantee! Whether you need a unit for your business or home, we have a wide variety of options that are sure to be your perfect fit. So give us a call today to learn more about our amazing products and service. We’re happy to answer any and all questions, and we look forward to working with you!